Leica fanatics are different than regular people, so it's no surprise Leica's taking an entirely different—but brilliant—approach with its M8: It's everlasting. 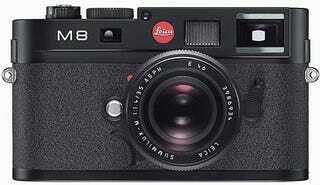 Instead of dropping an M9 or M10, Leica is offering substantial upgrades to the M8 itself—mechanical and digital components, so it'll slowly evolve into a new camera. The first package is a sapphire LCD screen, which can only be scratched by a diamond, plus a new, quieter, less shaky shutter, at a cost of around $1,800.